Business Hours: Monday – Saturday: 8 am – 6 pm, Sunday: Closed. Headquartered in Tacoma, Washington, we work throughout Washington state. Mihael is an amazing photographer. I have received a lot of positive feedback from my seller client as well as prospective buyers and their agents. Looking forward to my next listing photography. Mihael really takes his time to get the right shot. Would highly recommend Mihael and Taku Homes. Top notch photography. Beautiful listing photos!!! When you hire Mihael of Taku Real Estate Photography you receive more than you expect. Not only are the photos excellent, the service is good. Mihael watches the weather and works with Realtor's often changing schedules...he becomes part of your team. You can count on the quality of his work. 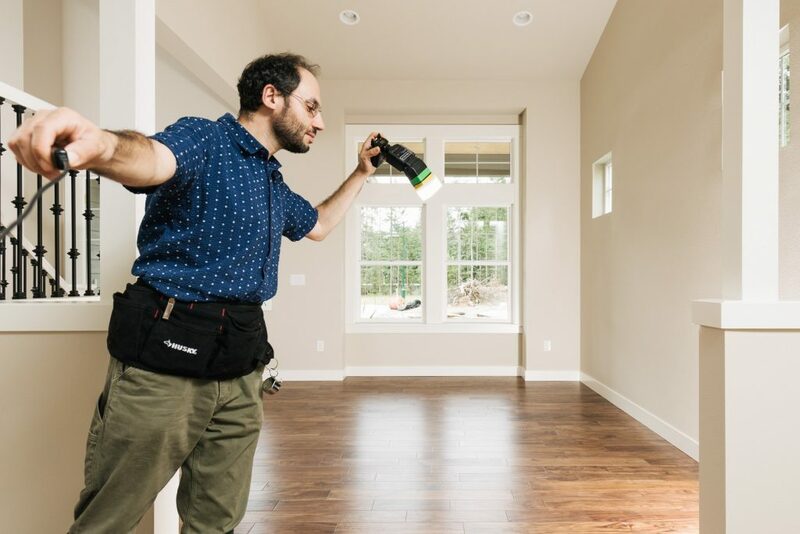 Mihael from Taku Homes showed up for the scheduled appointment right on time and completed the photo shoot exactly within the time frame which he indicated it would take. Mihael really captured what we love best about our home. He was very professional and yet very friendly and was extremely patient with our dog who seemed to somehow always get in the way despite trying to keep him in another room! We couldn't be happier with how our pictures turned out and our entire experience with Taku Homes. I needed arial photos and a drone video of a construction site my company is working on. Mihael with Taku Homes exceeded my expectations. The photos and videos were outstanding and were delivered ahead of time. Excellent photography and customer service! Was great working with Taku Homes on our real estate photography. Would definitely hire again. Taku Homes photographed my airbnb rental property. The photos turned out amazing - better than I thought was possible! Mihael is wonderful to work with and accommodated the weather and my schedule. When he arrived at the home he was professional and friendly. He advised me on how to stage the space to appeal to my customers. He has great communication and the photos arrived when he said they would. I give Taku Homes and Mihael my highest recommendation! Working with Taku Homes to get listing photos is easy and fun. Compared to other real estate photographers in Tacoma, booking a shoot on Taku Home's website is quick and painless. Photos are always great and delivered on time. Mihael from Taku Homes brings a great eye for detail and quality service to providing outstanding real estate photography! As a realtor, I really appreciate how easy, fast and professional Taku photography is! They never disappoint. The pictures come out great and having the ability to get drone shots really helps potential buyers see where the home is in a neighborhood. Great for listing homes for sale. I would strongly recommend Taku for all your photography needs. Loved working with Taku Homes and will work with them in the future. Everything about this shoot was professional, efficient, & promt. Also it was exactly the style (color scheme) i was looking for. Mihael was the photographer. Thank you so much the home sold in just a few hours of listing. Mihael was a pleasure to work with, very knowledgeable, and his photos brought out the best parts of my listing. The photos and video are better than I'd hoped for, THANK YOU!!!! My clients were very impressed with you... I will be recommending you to my colleagues and hope to have you as my "Canal photographer" when I sell many homes out that way. Mihael from Taku Homes Real Estate Photography did a beautiful job on a photo shoot for my listing in Seattle. He is a true professional with a great artistic eye. He works hard in making sure every shot is perfect. Mihael is friendly and very easy to work with. I highly recommend Taku Homes for you listing photographs. You will not be disappointed. I had last-minute change of plans and Mihael was very accommodating. He helped me work around my client's schedule to get great real estate photos on time. Great photos of my listings in Tacoma and Gig Harbor. Photographer is always friendly and professional and shows up on time. Taku Homes just did an amazing job on a photo shoot we had him do on a new $899,000 home listing. His attention to detail and eye behind the camera are amazing. I would highly recommend him to anyone looking for high quality photography.